Win a 2012 Terry "Symmetry" bicycle designed by Georgena Terry specifically to meet the needs of female cyclists. 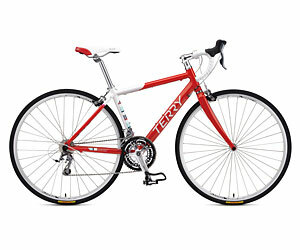 Terry Bicycles is the Original Women's Bicycling Company, designing and manufacturing women's cycling apparel, bicycles and bicycle saddles and accessories for over 25 years. In the words of our founder, Georgena Terry, " My mission from day one has been to get more women on bicycles. Our wheels are our wings". Visit us at terrybicycles.com to learn about our focus on fit, comfort and style when delivering the best products for female cyclists.